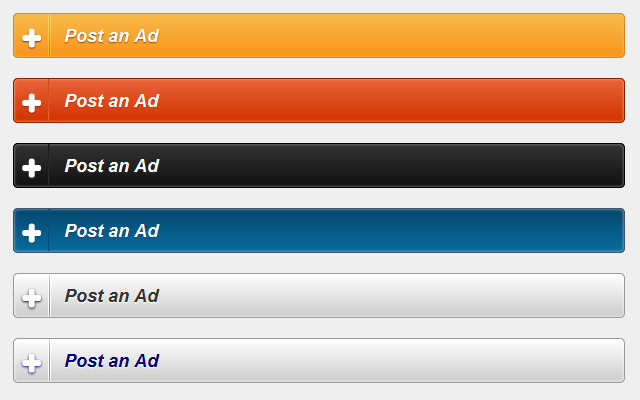 Adds a widget with button “Post an Ad” to ClassiPress theme. 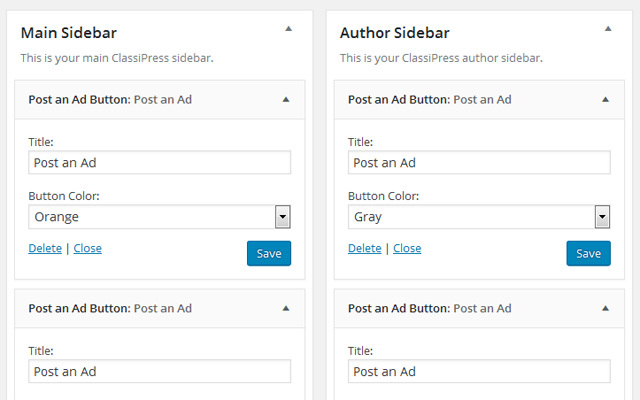 The “Post an Ad” widget requires ClassiPress 3.3 (our WordPress classifieds theme) or newer. 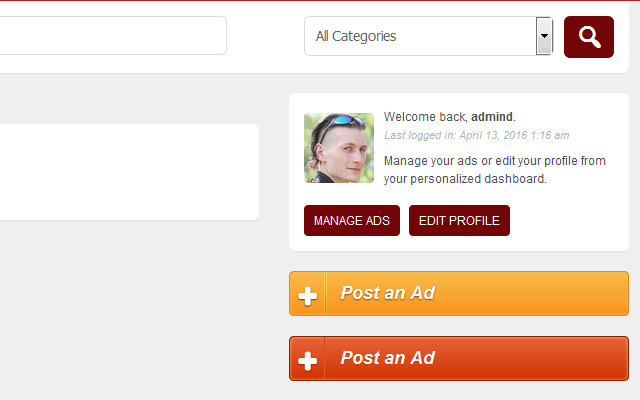 “Post an Ad” widget will only work with ClassiPress (our WordPress classifieds theme), version 3.3 or later. Once activated, visit “Appearance->Widgets” menu, and add new widget to some of your sidebars. Easy to add and really looks good. Just bought this yesterday, very nice plugin, nice i easy to use. The only problem witch i had was some small problem witch css, easy to fix.